The Student Union FIlm's Series provides showings of popular films on Fridays throughout the semester. 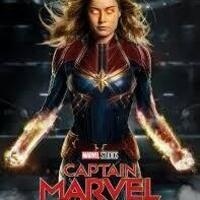 This Friday we will be supplying a limited number of free tickets to see Captain Marvel at The Grand! More information will come later in regards to tickets, so make sure to keep an eye on your email! I didn't receive any emails about the event after I signed the event.